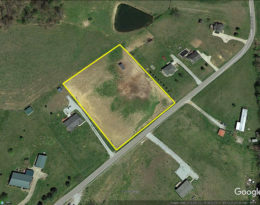 Brick home almost 1 acre lot located 9050 Danville Hwy. Home has large living room, spacious eat-in kitchen, bathroom, 2 bedrooms, full basement, front porch, detached garage and a storage building. Call or Text Monty 270-402-1176.